You know what I say to people that poo poo an entire country’s cuisine? More for me! Vindaloo is one of the few Indian dishes that is beef-based. Holy cow isn’t just a Bart Simpson quote, after all. You can, however, incorporate venison into the wonderful curries that are vegetarian based – it just needs to stew a little longer! Onto the vindaloo. 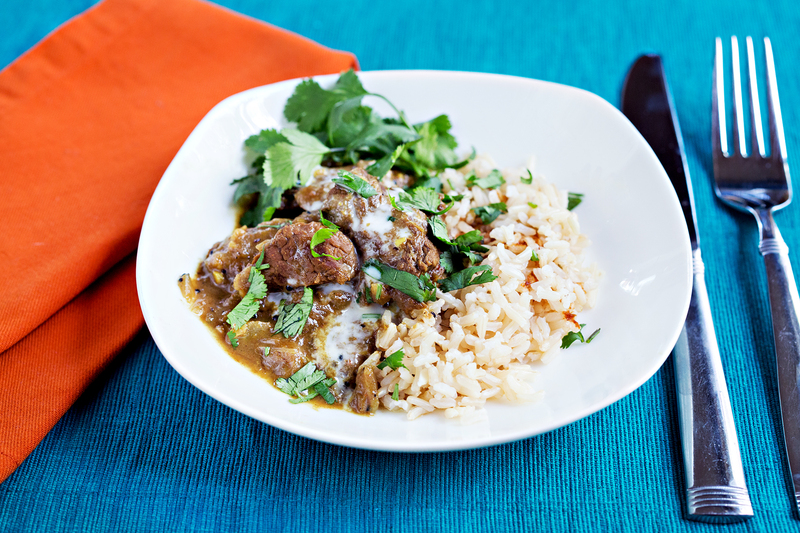 Vindaloo is one of those really delicious dishes that translates effortlessly from beef to venison. Maybe add a little extra oil in there, but honestly, it’s not really necessary. This is one of those great Sunday dinner recipes to double and freeze. You can do a quicker cooking vindaloo and only stew it for about 15-20 minutes, however, make sure your venison is well tenderized. You can also crock pot this and let it bubble while you work. Simply put everything in a crockpot after you caramelize the onions. Done and done. In a large pot or dutch oven, heat the oil over medium-high heat. Add the mustard seeds and let them pop for a minute or two, being careful not to burn them. Add the onions with a little salt and cook until caramelized, about 20 minutes. Deglaze the pan with a splash of water if needed. Add the garlic and ginger. Cook until fragrant, about 2 minutes. Then add the rest of the spices and again, stir until fragrant, about 2 minutes. Deglaze the pan with the vinegar and stir to combine. Add the meat, salt and pepper to taste and the 1/2 cup of water, bring to a boil, then simmer over medium until the meat is very tender, at least 30 minutes or up to 90 minutes. Garnish with chopped cilantro and a good drizzle of coconut milk. 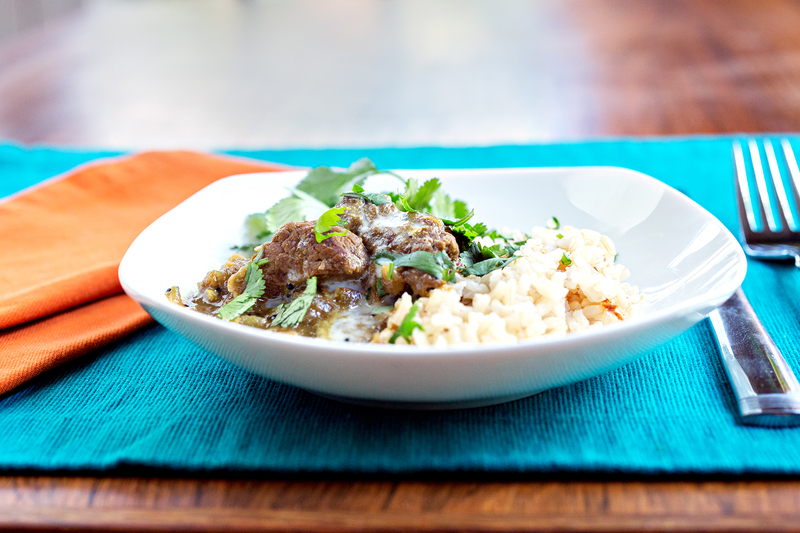 Serve over steamed rice or with a side of naan. 2 Comments on "A recipe that rolls off the tongue"
You’re very welcome! I’m so glad you’re enjoying the recipes. I suffer from the same affliction; a constant influx of more meat!